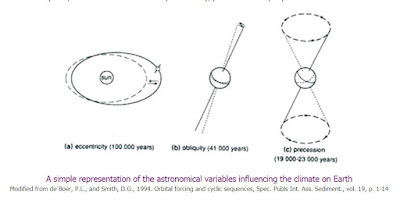 ACCELERATING EDUCATION: How do we correlate the Milankovitch orbital cycles to cyclochronology? 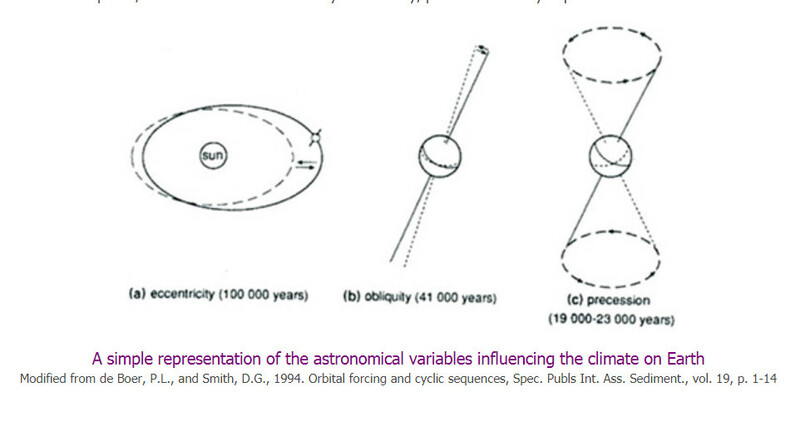 How do we correlate the Milankovitch orbital cycles to cyclochronology? Combined with the movement of perihelion (the time at which the Sun is closest to Earth), its frequency is about 20 thousand years, with two modes at 19 and 23 thousand years. Precession affects the timing of the seasons (when the seasons change). That is why we have to have a leap year every four: without this adjustment, in 10,000 years we would have spring in September instead of March in the northern Hemisphere, and vice versa. Modulated by eccentricity, precession is very important at low latitudes.